March 1, 2019, by Sam Carlson- "Nate Blair knew that every neighborhood needs a hub, and Westville was no exception. With the opening of Cafe X, a new coffee shop on the corner of Whalley and Blake, he aims to create that hub. For a long time Westville has had a lot of places to get coffee but there was no coffee shop to call its own. There are restaurants that serve coffee with breakfast or brunch. There is a Dunkin Donuts that you can grab a drink from in a hurry. The space below Lotta Studios was annexed by coffee shops from different parts of town, like Coffee Pedaler or Happiness Lab, who purveyed caffeine, but they weren't full-fledged coffee shops - until Cafe X opened. The way Blair sees it, a coffee shop is about so much more than coffee. It is a social place where strangers share space comfortably. It allows for an exchange of ideas, and a way to keep up with the news of the neighborhood. 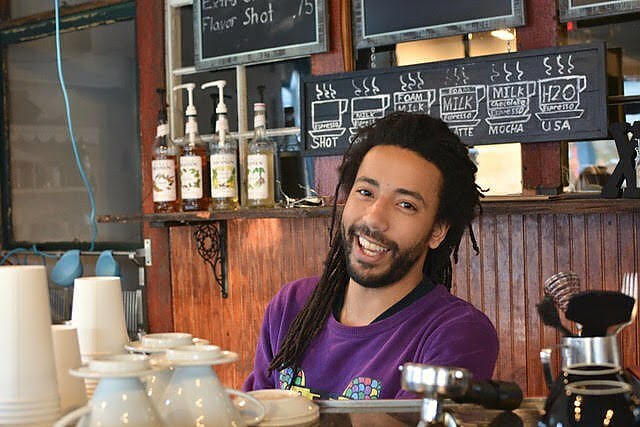 A good coffee shop can be a sort of bioindicator for a healthy area, which is why it's strange that Westville didn't have one - a shop with regulars to run into, a great place to hunker down with a laptop, or to just sit and sip your coffee..." Click HERE to comment and read full article.